The Arizona Disposition Reporting System (ADRS) is part of the strategic Integrated Justice plan for the State of Arizona. The goal of the system is to improve the reporting of disposition and sentencing information from the law enforcement and justice agencies throughout the State and to improve the timely and secure sharing of Arrest and Charging information to all appropriate members of the law enforcement and justice community. The initial version of ADRS provides a web interface to justice agencies for entering disposition and sentence data, thereby eliminating the submittal of the yellow disposition forms to DPS for data entry. 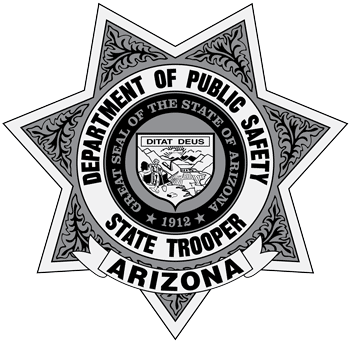 ADRS interfaces with the Arizona Automated Fingerprint Identification System (AZAFIS) and the Arizona Computerized Criminal History system (ACCH). AZAFIS populates all of the fingerprint based arrests in the State into ADRS and ADRS has a 2-way interface with ACCH. Dispositions added, updated or deleted through ADRS are updated into ACCH on a real-time basis. If updates occur directly into ACCH related to Arrest / Charge information, transactions are then sent to ADRS to keep the two systems synchronized. All arrest data stored in ADRS is considered criminal history information and therefore all security requirements defined in Arizona Revised Statute 41-1750 apply. Arrest data starting from a February 1,2007 arrest date is populated in the ADRS database. Arrests prior to this date do not exist in ADRS and previous procedures for updating disposition data apply. Once all charges for an arrest have a final disposition, ADRS will purge the information associated to this arrest 31 days after the last charge was updated. For additional information on ADRS, please contact the Criminal History Records Section at (602) 223-2542 or by emailing [email protected].